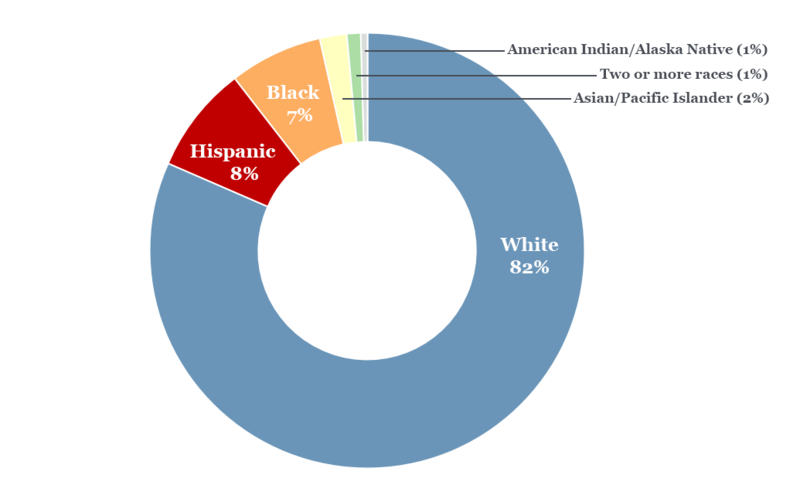 Only 2 percent of the nation's teachers are black men. Increasing their numbers would benefit students of all backgrounds. In Philadelphia, a group forms to double the number by 2025. Listen to this audio documentary on the Educate podcast. Subscribe now. When you're the black guy in the building, certain tasks fall to you. "They would call me in to have talks with certain young men," said Robert Parker, a high school history teacher in Philadelphia. "Students who wouldn't do their work in class." The same thing happened to Jovan Weaver. 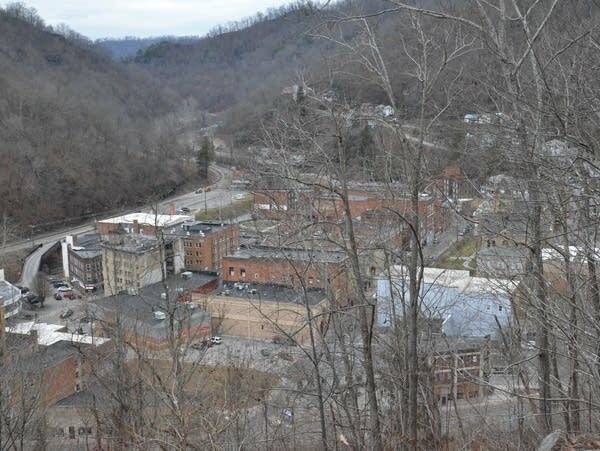 "Teachers would just send them to my room because I built a connection with them," said Weaver, who taught sixth- and eighth-grade math and is now a school principal. "Sometimes I wouldn't even know. I'd just get a note, and, like, I have kids sitting in my class." Black men in schools across the country say they're admired for their way with tough kids — but they worry that often, they're seen as only that, and not as great teachers. They say they don't get asked to teach the advanced classes. When it's time for a promotion, who gets tapped to be the administrator in charge of discipline? The black guy. And they say they're expected to be the experts on everything related to race. "When it's time to talk about diversity, you're the go-to," said Weaver. It's such a pervasive problem that there's a name for it — the "invisible tax" on teachers of color, especially black men. It can lead to burnout and frustration. And when you're the only black male in your building, there's no one to talk to about it. Sharif El-Mekki, a veteran teacher and principal in the Philadelphia public schools, started getting calls from a bunch of these men a few years ago. "Hey, you have time for coffee?" they asked him. Eventually El-Mekki proposed they all meet together, once a month, for dinner. And that's how The Fellowship was born. 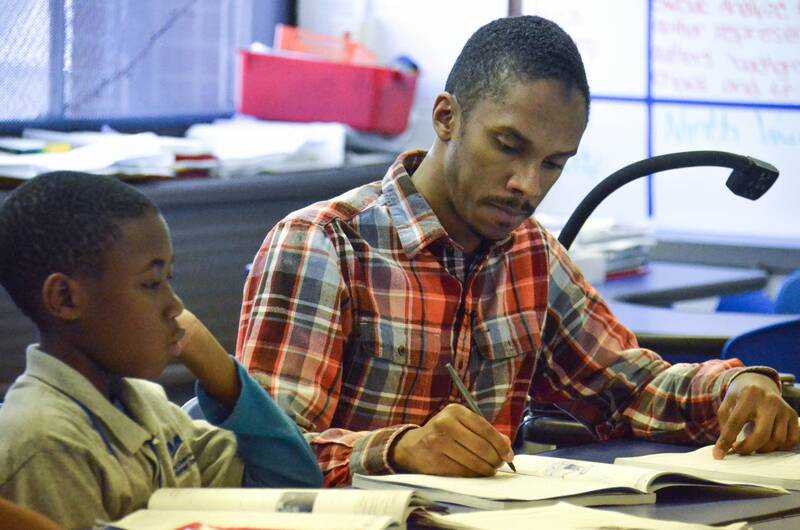 The Fellowship is a nonprofit seeking to more than double the number of black male teachers in Philadelphia by 2025. Part of the idea is that if there are more black men in education, they'll be less likely to be stereotyped. And more black men in education is good for kids. There's an abundance of research showing that African-American students, in particular, benefit when they have black teachers. 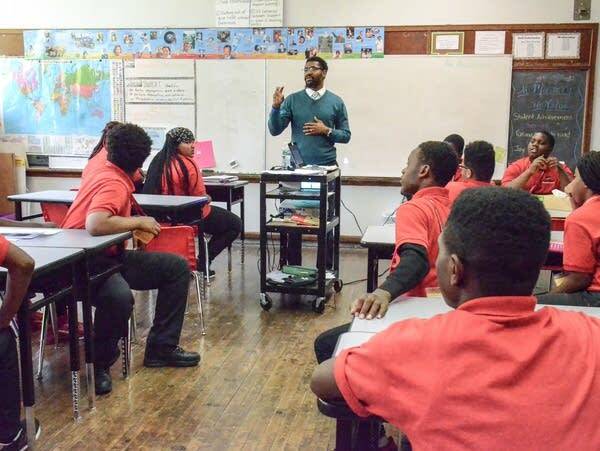 The Fellowship is trying to increase the number of black men in Philadelphia schools by recruiting more of them into teaching, and retaining the ones they've already got. (Black male teachers have high turnover rates.) "Our young people are not seeing teaching as a way for them," said Raymond Roy-Pace, a member of The Fellowship's leadership team. "It's not a matter of black male teachers for black kids," said Weaver, the group's treasurer. "We want black male teachers for all kids." "Children are brought up in this country and they fear black men," said William Hayes, vice-chair of The Fellowship's board. 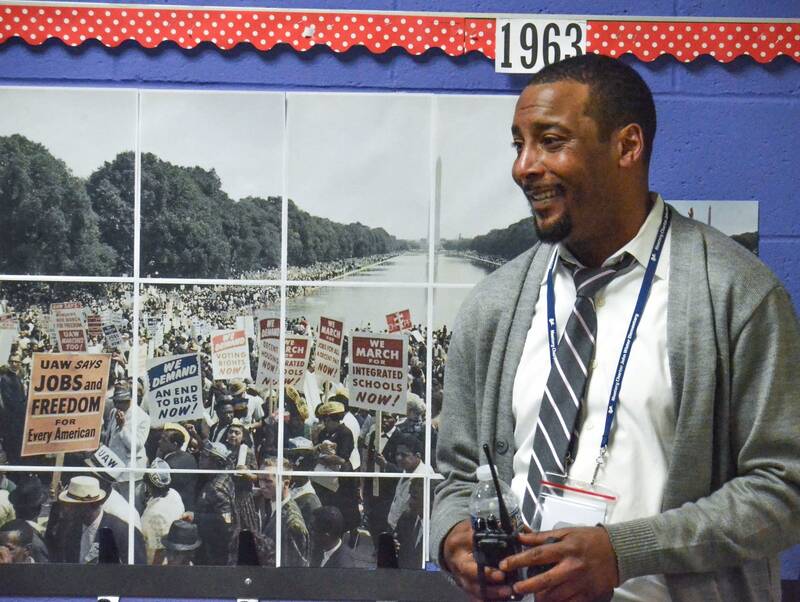 "Putting a black man in the front of a classroom does a lot to shift the narrative about how young children perceive black men in this country." 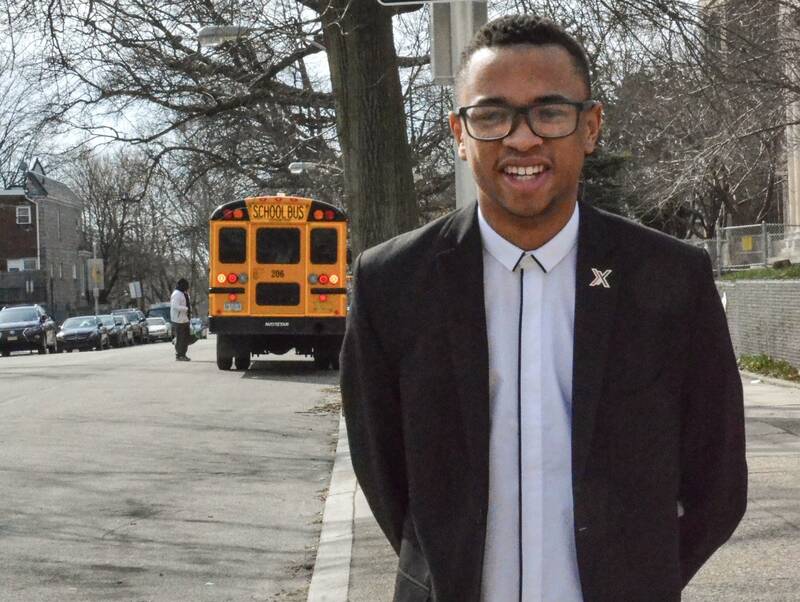 Here's what the students in American public schools look like. Here's what the teachers look like. Why does this matter? There's lots of research that shows a school system where most of the teachers are white and most of the kids are not is bad for kids of color, especially African-American students. Here are some highlights from that research. White teachers expect less academic success from black students than black teachers do from the same students. A white teacher is about 30 percent less likely to predict a black student will complete a four-year college degree. "If I'm a teacher and decide that a student isn't any good, I may be communicating that to the student," said Nicholas Papageorge, co-author of the study. Read more. Black students are half as likely to be placed in gifted programs, even if they have the same test scores as their white peers. But when black students are taught by black teachers, the racial gap largely disappears. 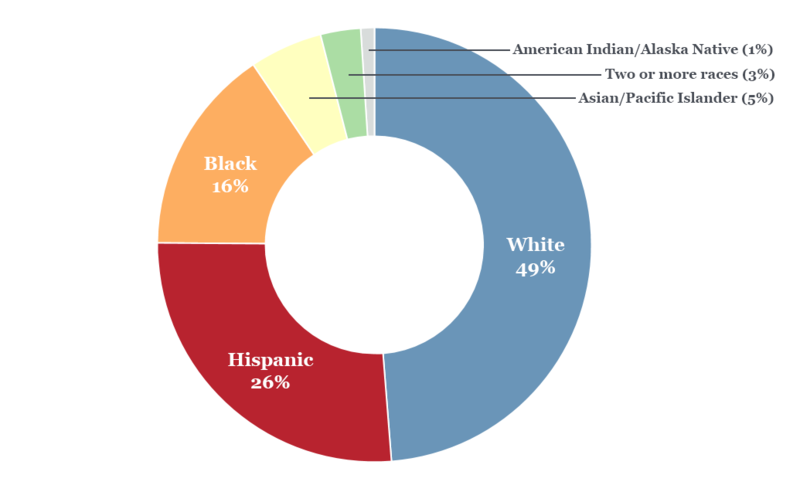 There is no gap for Hispanic students, after controlling for test scores. "This is especially troubling since previous studies have linked participation in gifted programs to improved academic performance, improvements in student motivation and engagement, less overall stress, and other positive outcomes," said study author Jason Grissom. Read more. When a black student has a black teacher, that teacher is much less likely to see behavioral problems with that student than when the same black student has a white teacher. Hispanic teachers also give worse assessments of African-American students' behavior. (African-American teachers do not give worse assessments of white or Hispanic students.) "The conclusions in this paper should be of interest to policy makers, especially in light of pervasive disparities in school disciplinary outcomes between African-American and white students," concluded researcher Adam Wright. He estimated that if schools doubled the number of black teachers, the black-white suspension disparity could be cut in half. Read more. When black students have black teachers in elementary school they perform better on standardized tests. They are also more likely to graduate from high school. Having at least one black teacher in third through fifth grades reduced a black student's probability of dropping out of high school by 29 percent. For very low-income black boys, their chance of dropping out fell nearly 40 percent. "Spending just one year with a teacher of the same race can move the dial on one of the most frustratingly persistent gaps in educational attainment — that of low-income black boys," said author Nicholas Papageorge. "It not only moves the dial, it moves the dial in a powerful way." Read more. The 2017 season of four education documentaries can be heard via the Educate podcast. Why are there so few black male teachers?